To assist in the delivery of the curriculum this school will use Accelerated Christian Education resources. The Accelerated Christian Education (A.C.E.) curriculum has had over thirty years of development and has been tried and proved in many countries, including NZ, (5000 schools in over 100 countries). 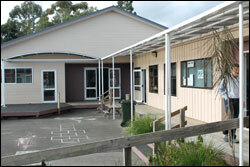 At Lake Taupo Christian School new entrants to Year 13 may be accepted and catered for using the ACE curriculum resources. The educational philosophy of A.C.E. centres on the student and learning rather than on the teacher and teaching. Each core subject is presented by means of a series of self-instructional work books (called PACEs) that progressively build on each other. This means individualised learning for each student who can be working at their own level of achievement. Christian truths and principles are integrated throughout all subjects. The whole curriculum is based upon Christian presuppositions and reflects a biblical world view. A.C.E. stresses the importance of basic communication skills such as grammar and students’ ability to calculate proficiently without the aid of calculators. Because the curriculum is self-instructional and reading based, considerable emphasis is placed upon the student learning to read. In the ABC’s of A.C.E. (A.C.E.’s learning-to-read programme), first year students are taught the phonetic sounds for each letter of the alphabet. The reinforcement of phonetic sounds gives children the word attack skills that enable a high percentage of them to be reading within the first year of school. This programme has also proved very helpful for those students with learning difficulties. After the completion of each PACE students must pass a test on that PACE before they can proceed to the next one. 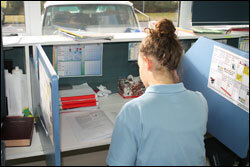 Each student is therefore continually assessed in all subjects and parents and staff know how they are progressing. Students are required to set goals and because the completion of goals and work completed is rewarded, students are motivated to work. This helps establish good work habits. The A.C.E. individualised system, where the pupil can progress at their own speed, also encourages students to proceed with their work. The motivation to work is inherent in the A.C.E. system. Because the A.C.E. curriculum is self-instructional providing individualised learning, students who may be absent from school for a period of time are not disadvantaged with learning gaps. When they return to school they merely pick up where they left off. Students can easily move from one A.C.E. school to another or use the curriculum at home without disruption to their education. Generally students work on five core curriculum subjects (Math, English, Social Studies, Science and Word Building) and a range of elective subjects such as Art, Music, Literature, Computer Studies, Accounting and Languages. In addition to working on PACEs, students will also be involved in the Arts, Physical Education, Maori Studies, Technology, and Integrated Studies. 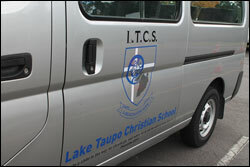 At Lake Taupo Christian School new entrants to year 13 may be accepted and catered for. At secondary level students work towards achieving New Zealand A.C.E. Certificates of Achievement and Certificates of Academic Achievement, which may incorporate some NCEA courses.